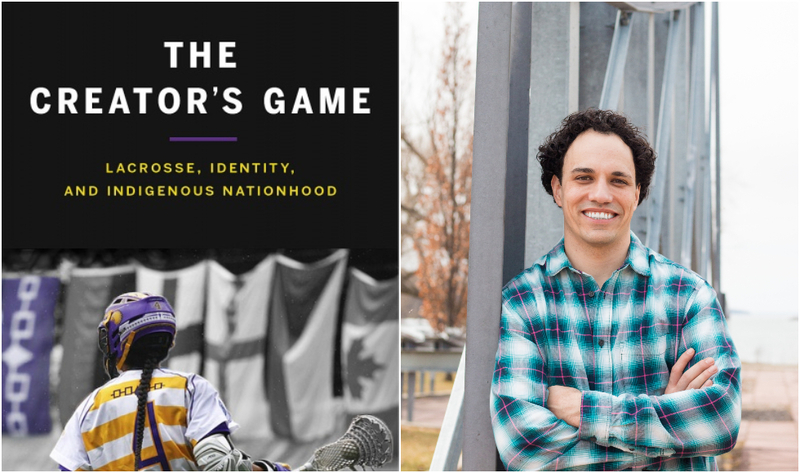 Allan Downey, an associate professor of Indigenous studies and history, has won this year’s English-language Canada Prize for his book The Creator’s Game: Lacrosse, Identity and Indigenous Nationhood. Downey, who grew up in Waterloo and is Dakelh from Nak’azdli Whut’en, a community in central British Columbia, says the prize really isn’t about him. The $10,000 prize is awarded annually to two books – one written in French, the other in English – that “make an exceptional contribution to scholarship, are engagingly written, and enrich the social, cultural and intellectual life of Canada.” It is administered by the Federation for the Humanities and Social Sciences, and is funded by the Social Sciences and Humanities Research Council of Canada. Downey has just finished up his first semester at McMaster, after spending the fall term at Columbia University in New York City as a Fulbright scholar –a “terrific opportunity” to meet up with Indigenous students and work with influential scholars like Audra Simpson, Yale’s Ned Blackhawk and Harvard’s Philip Deloria. |Listen to Allan Downey talk about The Creator’s Game on CBC. While Downey has a personal as well as academic connection to lacrosse ‑ he attended college in the U.S. on an athletic scholarship, and was drafted to play professionally during his graduate studies at Wilfrid Laurier – his research since the publication of The Creator’s Game has gone in a slightly different direction. He’s now exploring Indigenous sovereignty and self-determination by researching the history of Haudenosaunee ironworkers in New York City. Downey says that no matter what direction his research takes, he is always aware of the contributions made by Indigenous communities and individuals.